It will probably hurt my feelings to see what it actually goes for. I've got about $40K in mine now with the Banks, entertainment system, new tires... and a lot of TLC. Not finished yet. I bought mine last year with a little over 60,000 miles on it. Then again you never really know what condition its in from the ad. 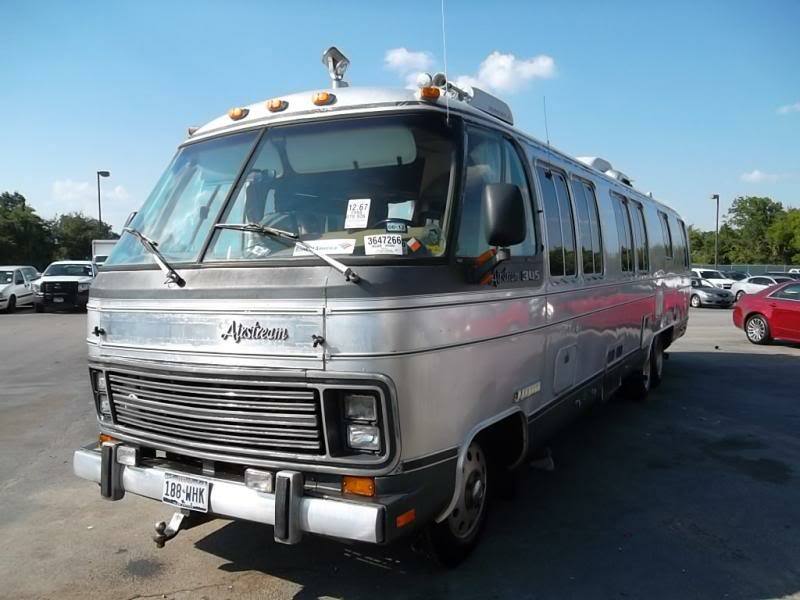 Craigslist Link: 1988 AIRSTREAM 35ft Motorhome RARE!!! The hitch is probably for a boat trailer to make it easier for putting the boat in and out of the water. AHA! Now that does make sense. Thanks! Wow! I had no idea they made a "shorty" in that series. Nice. "A settled wisdom, plus the itch to be elsewhere"
1984 Classic 310 - trade for mini-van? The boat hitch on the front of the MH is the only way to go. The boat / trailer is totally visable to the driver at all times when driving into the water. Also places the drive wheels where it's high and dry for maximum traction. Takes only a few minutes in a parking lot to unhitch from the back turn the MH around and hitch to the front. To those that decide to go with a front hitch - be prepared for comments from others that you have your trailer hitch installed on the wrong end of the MH!!!!!! All times are GMT -6. The time now is 10:25 AM.